Korea set a new internet first on Apr. 5 with the launch of the world’s first 5G network. The super-fast mobile network opens up a whole new world for communication, and it could change the world as we know it. It’s not just a little bit faster. Data transfers over 5G will see speeds up to 20 times those of the 4G networks that are currently in place. Realistically, that means no more buffering and no more waiting for downloads. The transfer time between phones will be practically instantaneous. In fact, a whole movie could be downloaded in under a second over 5G. The speed increases that came with 4G opened up a whole new world of internet-connected applications, including Uber and social media. Before that, 3G is what really brought the internet to our pockets. What 5G might mean for the future is still hard to even fathom. Some of the biggest breakthroughs will likely come in the realm of interconnectivity. Devices like self-driving cars and drones will require near-constant communication with all of the devices around them. Korea has long been a hotbed for internet connectivity, maintaining some of the fastest and most comprehensive national networks in the world for most of the past two decades. So it’s no wonder that 5G is going to get its start here. But the rollout also had heavy government backing, being seen as a way of kick-starting a fumbling economy. Worldwide, 5G networks are expected to add around $565 billion (W646 trillion) to the economy by 2034. But the new technology is not without its problems. At the moment, these are mostly in the political sphere. Chinese companies are the dominant players in 5G technology, especially Huawei, which already has 1,529 patents registered in the field. The total is about 3,400 for all Chinese entities. This doesn’t sit well with the U.S., which is currently engaged in a trade war with China. Furthermore, they claim that Huawei products pose a security risk to customers, coming equipped with backdoors that allow for data theft. Korea may be the first country to launch 5G, but it is only No. 2 in the patent race, with 2,051 registered. All the country’s major carriers launched 5G services on Friday, but only LG is using Huawei technology. Samsung launched its next-generation Galaxy S10 5G on the same day. 1. What kind of realistic changes will a 5G network make? 2. What will devices like self-driving cars and drones require? 3. 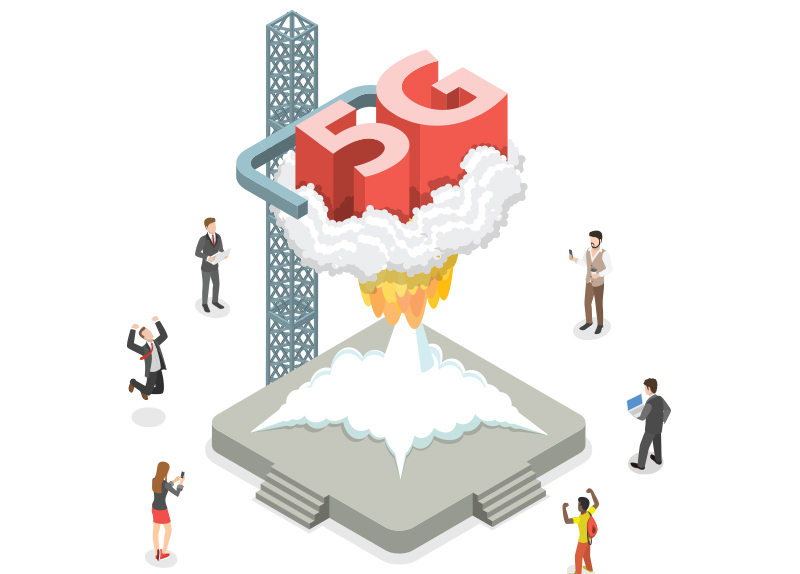 What companies are the dominant players in 5G technology? 1. Are you interested in using 5G for your phone? 2. Do you predict there will be a 6G network coming soon? 3. Do you believe self-driving cars and drones will work properly with 5G? 4. Why do you think Korea became the first country to launch 5G?